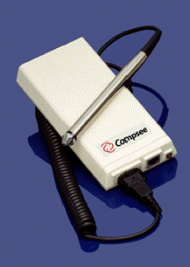 Compsees selection of Keyboard Decoder Wedges provide input and output options to connect a wide variety of input devices. The supported devices include bar code reader, Magnetic Stripe Readers and RS 232 input devices such as scales and portable terminals. 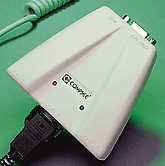 Wedge interface connections supported include all types of PCs and clones, as well a variety of other terminals from CLI, Decision Data, DEC, I-O, IBM, Idea, HP, Memorex, Wyse, etc. Installation of the wedge is simple and fast, simply plug between the keyboard and the terminal. All Compsee wedges contain powerful editing features that allow the user to qualify the data input, inhibit invalid data from passing through and then format the output of the data to match the applications input screen .